Imagination. Sitting in that cabinet meeting, that was all they had. For Shimon Peres, that was enough. The Defense Minister prevailed in that debate and helped to orchestrate the historic raid on Entebbe on July 4 that saved the hostages. The action sent a clarion call to the world that Israel would not negotiate with terrorists nor sit idly by when Israelis or Jews were in harm’s way. These two stories combine to share an important aspect of Shimon Peres’s legacy. He was a dreamer who dared to challenge conventional wisdom. When it came to saving the lives of Jews at Entebbe, conventional wisdom said, “impossible.” Peres dared to dream that it was possible. When it came to achieving a peaceful resolution with the Palestinians, he dared to challenge both Israeli and Palestinian naysayers there too. The Oslo peace process, his vision, offered a glimmer of hope that peace was possible. Shimon Peres was not satisfied with the status quo. He made mistakes along the way, and he lost his share of political battles. Through all the hardships, he never lost integrity. He continued to challenge. He continued to question. To his dying day he continued to dream. To dream is at the heart of the Zionist ethos. Psalm 126 recalls the first great return to Zion after the destruction of the first Temple. A song of ascents. When the LORD restored Zion —we were like dreamers. The LORD will do great things for us and we shall rejoice. They who sow in tears shall reap with songs of joy. Yes, there will be joy at the end of the road, but great challenges must be overcome. One who goes along weeping, carrying the seed-bag, shall come back with songs of joy, carrying his sheaves. This psalm was once considered the Zionist anthem before Hatikvah won out. The return to Zion in modern times is a joyous event for the Jewish people, but one that has required more than its fair share of tears, sweat, and, far too often, blood. Nearly seven decades after Israel’s founding, we have much reason to rejoice. Israel is a strong nation that boasts a thriving economy and strong democratic institutions. Israel is a fountain of Jewish religious and cultural inspiration. Hebrew, the language of the Bible, is the language of the people. At the same time, Israel continues to face great challenges. Shimon Peres championed the dream of a Jewish democratic state with secure and recognized borders. This dream has not yet been fully realized. For 2000 years the Jewish diaspora prevented our people from controlling our destiny; but it also freed us of the responsibility of governance. In 1948, that radically changed. The late religious philosopher Rabbi David Hartman grappled with the religious and moral implications of Jewish power. In other words, no longer is Judaism confined to the home and synagogue. In a Jewish state, Jewish values are engrained in the national ethos. For Rabbi Hartman, the dream of shivat tzion, return to Zion, has not yet been fully realized, but he rejoices that the Jewish people are in a position to shape the dream. Israelis, joined by Jews around the world, have the responsibility to grapple with the meaning of Jewish power and to wrestle with the moral implications of power in ways we had not been able to do prior to 1948. Rabbi Hartman created the Shalom Hartman Institute, an important center of learning in Jerusalem that engages Jews in Israel and around the world across the religious and ideological spectrum in thoughtful study of Zionism and its future. Therefore, I am pleased to introduce to Temple Torat Emet the Shalom Hartman Institute’s program iEngage: Jewish Values and the Israeli-Palestinian Conflict. The goal of iEngage is to provide tools to engage with and discuss the wide spectrum of views on this complex topic. Through video presentations by Hartman scholars and my facilitation of interactive discussions of Jewish texts selected by Hartman, we will deepen our understanding of the present conflict and figure out how better to grapple with it in our community. The course does not aim to shape or change politics on Israel. It does aim to change and shape the way we think about politics and the way you and I talk about the Israeli-Palestinian conflict. We will learn together nuances of the conflict and become more engaged in the issues for the sake of strengthening our own community, strengthening love for Israel and creating an atmosphere in which an eventual peace can succeed. The iEngage series will meet for nine sessions on Sundays, 9:30-11:30 AM starting November 20. The course is open to all. I particularly encourage parents of Religious School students to join me for these vital discussions that affect the future of our children and the world they will face. Shimon Peres was the last great leader from Israel’s founding generation. Our community joins Israelis and Jews around the world in mourning his loss. At the same time, we must honor his memory by ensuring that his dreams do not die with him. Peres’s legacy is that he was more concerned about tomorrow than yesterday. He dared to dream. We cannot solve Israel’s problems, but we can honor Shimon Peres’s legacy. We can dream. We can challenge others to dream. We can challenge ourselves to listen to others with care and respect. My prayer is that the memory of Shimon Peres will inspire us to dream, to learn and to grow and thus help us bring peace and healing to us, the Jewish people and the world. Having just completed Passover, our Torah reading this week, Parashat Aharei Mot, takes us to the opposite pole of the Jewish calendar. The reading describes the elaborate rites carried out by the kohanim (priests), and particularly the High Priest, on Yom Kippur, the Day of Atonement. At the center of the the atonement rituals we find goats. In his Yom Kippur Mahzor commentary, Rabbi Jonathan Sacks comments on the words shnei se’irei izim, two goats (Leviticus 16:5) that served different roles in the atonement ritual. Rabbi Sacks writes: “The two goats were identical in appearance but different in their fate. One was sacrificed to God, the other–the “scapegoat”–was sent into the desert. They represent, respectively, the polarities of the human condition: on the one hand sanctity and order, symbolized by the Tabernacle; on the other, formlessness and void, symbolized by the desert. The ceremony of the two goats is similar to the acts of separation and division that took place during creation (Gen. 1). They represent the light and darkness within the human personality. The darkness–sin–is sent into the dark: the desert with its dangers. The light–the gift of love we bring to God when we offer Him a sacrifice–is transmuted by divine fire into forgiveness and love” (Koren-Sacks Yom Kippur Mahzor, p. 729.). The goats on my tie are not your average “Billy Goats Gruff.” They are goats of personal transformation and renewal. Best-selling author and surgeon Dr. Atul Gawande’s prescription for a meaningful conversation with loved ones consists of three questions: What are your fears? What are your goals? What trade-offs are you willing to make? As we go through life, we are not always prepared for the roars of the cannon, momentous changes that alter the course of our lives. For example, any one of us or our loved ones may seem perfectly healthy one day, then receive a serious diagnosis of illness the next. During this season, we create a communal cannon blast, as it were. It’s sort of a fire drill to prepare us for the real cannon blasts that shake up our lives. We gather in large numbers on Rosh Hashanah and Yom Kippur and put on a display of pageantry through our services to remind us of God’s grandeur. This pageantry is designed to create a framework in which we can do the real work to bring God’s presence into our lives by bringing healing to our relationships and our world. That work is called Teshuvah (return). If we do this work well, we will be better equipped to deal with the unexpected cannon blasts that shake up our lives. Teshuvah is not easy. Teshuvah requires thought. Teshuvah requires intentionality. Teshuvah requires action. For ten days we have sung in synagogue the plaintive melody of Avinu Malkeinu. We cry out to God as a parent, Abba, someone who is close to us; we also call to God the Melekh,the distant ruler of the universe. At the end of that prayer we say aseh imanu tzedakah vachesed—do with us acts of tzedakah—righteousness— and loving kindness. We say to God: “this is what we are doing. We are inviting you—even imploring you—to join us on the way. If you join us, then You, God, will have no choice but l’hoshiainu, to redeem us. We all have times when our faith is challenged. We see loved ones suffer from illness. We see people around the world suffering from natural disasters and man-made disasters, such as war and terror. We ourselves suffer from illness and hardship. As we prepare to say the Yizkor service, I’d like to suggest specific actions we can do and words to say to a dear one with serious, perhaps life-threatening, illness. My hope is that when we take such action those who are suffering in some way, particularly those near and dear to us, feel cared for and valued as human beings. Through simple action and words, we have the potential to strengthen the relationships that matter to us most. Through the bonds of those relationships, we will feel God’s presence. Gawande notes that for much of the last century there have been two kinds of doctors. One could be described as “paternalistic,” an all-knowing priest-like figure whose advice a patient does not question. Another form of doctor is “informative.” This doctor will give you the facts of your disease and then offer different choices of treatment. The course of treatment is up to the patient, the doctor is just providing information. Gawande, however, advocates for a different model: the “interpretive” doctor-patient relationship. Here the doctor’s role is to help patients determine what they want in the big picture. Interpretive doctors ask, “What is most important to you? What are your worries?” Then, in response to the patient, they provide appropriate guidance for treatment based on the patient’s priorities. Gawande shares lessons not only from his own career and how he has grown in his practice of interpretive medicine but also from his personal experience of the medical system. He describes his father’s battle with a rare form of tumor in his spinal column that threatened to make him quadriplegic and kill him. Gawande’s father and mother are both doctors who immigrated from India. Their entire family speaks the language of science and modern medicine. The father, therefore, was able to ask very sophisticated questions about his own condition and potential treatments. Gawande contrasts two neurosurgeons whom his father visited for consultations. Both agreed that the tumor could not be removed; it could only be decompressed. In both cases, the neurosurgeons described the benefits and risks of surgery. Their styles, though, differed greatly when it came to answering the father’s questions. Gawande continues: “Look, he said to my father, the tumor was dangerous. He, the neurosurgeon, had a lot of experience treating such tumors. Indeed, no one had more. The decision for my father was whether he wanted to do something about his tumor. If he did, the neurosurgeon was willing to help. If he didn’t, that was his choice.” The elder Dr. Gawande made a choice—not to use this surgeon. Gawande reports that the next surgeon also exuded confidence. “But he recognized,” Gawande writes, “that my father’s questions came from fear. So he took the time to answer them, even the annoying ones. Along the way, he probed my father, too.” This surgeon reflected that the father was more worried about the harm the operation might cause than the tumor itself. Gawande continues, “My father said he was right. My father didn’t want to risk losing his ability to practice surgery for the sake of treatment of uncertain benefit. The surgeon said that he might feel the same way himself in my father’s shoes.” The neurosurgeon spoke to his patient as a fellow human being rather than a diseased specimen to be treated, and he won the trust of the author’s father. What are your biggest fears and concerns? What trade-offs are you willing to make or not? For example, Gawande describes one patient before agreeing to a risky operation who asked if after the surgery he would still be able to watch football and eat ice cream. Of course, for any of us who are caring for loved ones with serious illness, this is a template for the hard conversations we all should have. In times of illness, each of us should sit with our loved ones, hold their hand and be fully present. We then should ask: What are your fears? What are your goals? What trade-offs are you willing to make in the face of this battle? When we have such a conversation, we reaffirm the humanity of our dear ones. We fulfill the words of Avinu Malkeinu and literally bring God in our midst to be with us as we perform an act of hesed, loving kindness. Returning to Gawande’s story, these three questions played a significant role in his father’s treatment and final years of life. The senior Dr. Gawande was an accomplished and respected surgeon in his own right who enjoyed his practice. His greatest fear, it turns out, was not death but quadriplegia. His goals were to practice medicine as long as he could and continue other community activities that he enjoyed. In terms of trade-offs, if surgery were to save his life but leave him paralyzed, he would forego surgery. The father delayed surgery and continued in his medical practice for a time and in a respected community leadership position. He monitored his symptoms, such as tingling in his hands. He established a red line with the neurosurgeon as to when he would have to have surgery. Some two-and-a-half years passed with the father living a fairly normal life until pain and numbness had advanced. He retired from medicine and eventually opted for surgery. The tumor was decompressed and he was able to maintain mobility, at least for a while. 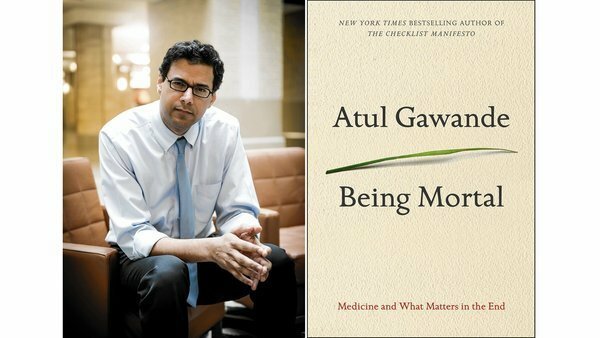 Some time after his father’s surgery, Gawande was invited to give the commencement address at a university near his parents’ home. His father’s health had declined, and he was confined to a wheelchair. The tumor had indeed taken its toll. For a while, Gawande feared his father might not survive long enough to hear his speech. When it became apparent he would, the planning turned to logistics. Originally, his father would sit in a wheel chair on the floor of the basketball arena housing the ceremony. But when the day came, the father was adamant that he would walk and not sit in a wheelchair on the floor. A “hard conversation” is actually quite simple when we break it down to its component parts. We ask three questions: What are your fears? What are your goals? What trade-offs are you willing to make, or not? Our challenge is to discover within ourselves the courage, compassion and love to make these conversations possible. And then we must listen. Asei imanu tzedakah va’hesed. According to our prayer when we perform loving kindness God will be imanu, with us, right by our side. As we prepare to remember departed loved ones in Yizkor, my hope is that we will tap into the best of their values for which we remember them. As they were there for us, let us be present for our dear ones who need us today. We may not know when cannons will fire that will shock us into our mortality. We can at least be better prepared for when they do. Let us have the courage to have hard conversations with our loved ones about our fears, our goals and the aspects of life we most cherish. Avinu Malkeinu, give us the strength to be fully present for our dear ones who turn to us for purpose and hope. Asei imanu tzedakah va’hesed—we’re not going to sit by silently. We’re going to take action and have conversations of lasting importance. We invite You, God, to be with us when we perform this act of hesed. In our work together with You, God, we pray v’hoshi’einu, that you will save us through the power of Your presence in our sacred relationships. 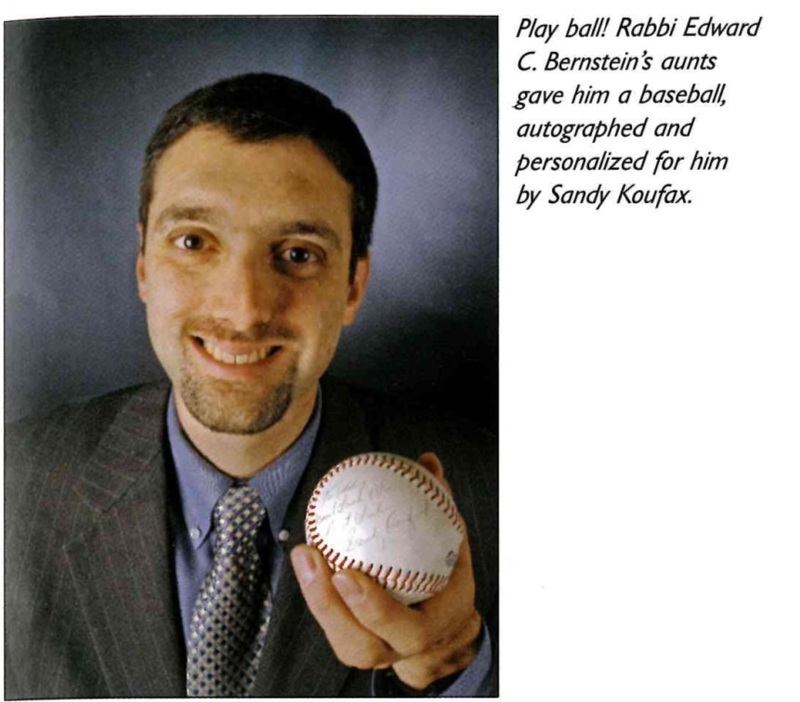 This profile of my wondrous gift of a personalized autographed baseball from Sandy Koufax appeared in the Cleveland Jewish News JStyle Magazine, Nov., 2007. Last week, September 9, marked 50 years since Sandy Koufax pitched a perfect game against the Chicago Cubs, his fourth career no-hitter. On the Jewish calendar, next week’s observance of Yom Kippur marks the 50th anniversary since Koufax sat out Game 1 of the World Series in observance of the Jewish holy day. Koufax went on to lead the Dodgers to a seven-game Series victory over the Twins in which he was MVP. I was not yet born in 1965, but Koufax has always been my hero for his excellence on the field and his historic decision to put his Jewish identity first at a critical moment. My admiration for Koufax was forever cemented when I was ten years old. Two of my great-aunts lived in the same San Mateo, CA, condominium as Evelyn Koufax, Sandy’s mother, and they were friendly with her. Imagine my joy when I opened a package from one of the aunts to find a baseball with the inscription: “To Eddy, Good luck and very best wishes. Sandy Koufax”! I forgive the Great One for not using the preferred spelling of my nickname, Eddie. The story of this gift was profiled in 2007 in the Cleveland Jewish News JStyles magazine. I remain grateful for my piece of “Koufaxabilia.” It reminds me of my late aunts and the importance of family. It reminds me of the prowess of Sandy Koufax, and it reminds me of his heroic gesture on Yom Kippur, 1965, that continues to inspire Jewish Americans. 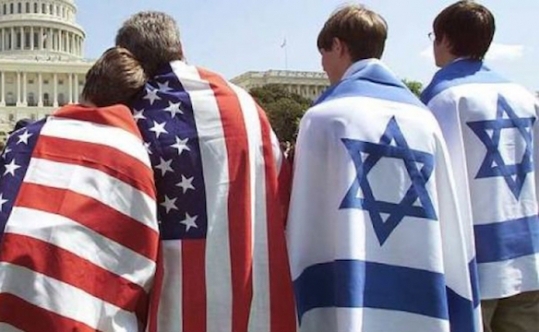 Jewish and American values do not have to conflict. In fact, they complement each other. Making a choice as Koufax did is as authentically American as it is Jewish. His inspiring decision not to pitch Game 1 of the 1965 World Series is a gift that keeps on giving. 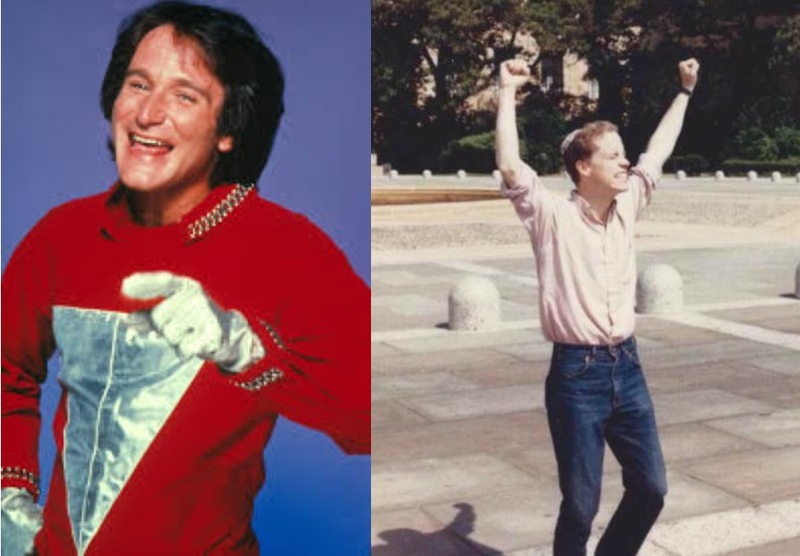 Robin Williams (1951-2014) as “Mork” (circa 1980) and Rabbi Joel Wasser (1963-2014) on steps of Philadelphia Museum of Art (1987). We all have similar battles that take place in our minds. Our actions, positive or negative, often result from the wolves we feed–the impulses that come out of these struggles. Sometimes we do great things. Other times we make mistakes but are able to repair them. Once in a while, the human impulse brings about great tragedy. Several weeks ago, the world was shocked by the untimely passing of actor Robin Williams. 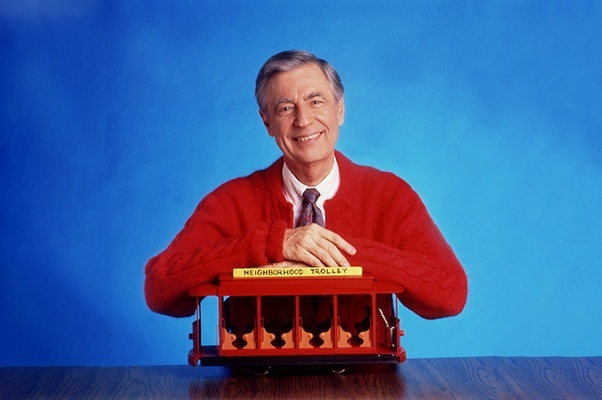 Many of us asked how it was possible that a man who brought so much joy and laughter to so many millions of people over many decades would feel so tortured by demons on the inside? When news broke that this comic genius had taken his own life at the age of 63, the world was shocked. Print and electronic media were filled with outpourings of love for Robin Williams as both a performer and a person. His untimely death awakened society to the inner sufferings of people afflicted with the diseases of depression and substance addiction. A few months earlier, a rabbinic colleague and teacher of mine, Rabbi Joel Wasser, z”l, died. He was only 50, and he took his own life. Like Robin Williams, Rabbi Wasser was a comic genius. I laughed convulsively at his jokes and stories. Moreover, he used his amazing natural gifts and charisma to make Judaism fun and inspiring, particularly for younger Jews. In 1987, he was one of my advisors on USY on Wheels, a cross-country bus tour. I was a high school student, and he was a young rabbinical student. He sat next to me on long bus rides and taught me how to lead services. Beyond the technicalities of how to chant the prayers, he brought me into the liturgy so that it came alive for me. I owe my interest in Jewish text and tradition and my ultimate decision to enter the rabbinate in large measure to my bus rides with Joel. I had lost touch with Joel over the years. However, nearly four years ago, when I was facing a moment of transition in my life, he called me out of the blue to offer his support and encouragement. I will never forget that simple act of kindness. Rabbi Wasser spent the bulk of his rabbinic career at Congregation Kol Ami in Tampa. I attended his funeral there in May. He had already been away from the community for several years, but the impact that he had on hundreds of people of all ages was palpable. Like Robin Williams, it is a mystery that Rabbi Wasser who brought joy, a sense of purpose and a love of Judaism to so many people could be haunted by inner demons that would lead him to such a tragic demise. Both of these extraordinary men fell victim to the diseases of depression and addiction that cut their lives short when they still had so much left to give. Hayim Nachman Bialik, the Hebrew Poet Laureate of Israel of the early 20th century prior to Israeli statehood wrote a poem titled Acharei Moti/”After My Death,” that captures the essence of losing dear ones before their time. There was a man – and look, he is no more. He died before his time. The music of his life suddenly stopped. A pity! There was another song in him. There’s hardly any tragedy as great as losing a loved one to suicide. It’s something that surviving loved ones often never get over. To make matters worse, few losses carry as much stigma and shame for the survivors. And yet, suicide has nothing to do with the moral character of the victims or survivors. According to estimates, some 8,000,000 Americans contemplate suicide each year, resulting in 1,000,000 suicide attempts and nearly 35,000 deaths. Suicides outnumber homicides 2:1. Suicide expert Joanne Harpel notes that suicide is not a sign of weakness, a character flaw, or an easy way out. It’s a fatal complication of an underlying illness, the same as dying of heart disease or cancer. Harpel adds that when we pray for healing in the Mi-Sheberach prayer, we ask for refuat hanefesh u’rfuat ha-guf, healing of spirit and body. Depression afflicts both, and suicide is the ultimate breakdown of these two systems. According to Harpel, laypeople cannot diagnose, but with compassion we can encourage those we care about to get professional help. Harpel writes, “When we are worried about someone, we can say, ‘I’m concerned about you. Are you thinking of hurting yourself?’ If the answer is yes, we should call the National Suicide Prevention Lifeline: 1-800-273-TALK.” She suggests that this is a number we should all have in our phone contacts for easy access and give it to loved ones who might be at risk. Within the Jewish world, We should also know about Elijah’s Journey: A Jewish Response to the Issues of Suicide Awareness and Prevention. It is a non-profit founded in 2009 that has created a vital support network in the Jewish community to raise awareness of this crisis and provide comfort and support to people who are suffering. When we reflect on beautiful souls like Robin Williams and Rabbi Joel Wasser, we are reminded of life’s mystery and fragility. They were both complex and ironic men who suffered greatly inside even as they brought great joy to others. When I think about them on Yom Kippur, I’m reminded of Yom Kippur’s great irony. Today is both solemn and joyous. There is no doubt about the great solemnity to this day. We fast; we beat our chests in sorrow over past mis-deeds; we mourn the absence of loved ones during Yizkor. Some may have lived out the fullness of their years, while others may have passed before their time. No matter the circumstances, we are likely to yearn for one more song that they may have had left. We long for their closeness, the laughter they aroused in us, the tears they shed with us. At the same time, Yom Kippur is regarded by the Sages as the most joyful of days. It is the day in which we are cleansed of our sins. We are reminded that while so many tragedies happen that are beyond our control, our destiny is still in our hands. U’teshuvah u’tefillah utzedakah maavirin et roa hagezeira–Repentance, prayer and righteousness lessen the pain we suffer from life’s travails. We have the power to make a difference in the lives of others. Unfortunately, we don’t have the power to bring departed loved ones back to life. The music of their lives has stopped. Here’s what we can do: we can deepen the relationships with those near to us now so that nobody feels alone. Use this relationship worksheet as a guide. It asks you to identify people who are close to you and complete the following sentences: Thank you for…; I’m sorry for…; I forgive you for…; and I love you for…. This worksheet may help trigger important conversations in your families and social networks. In turn, we may be able to heal untreated wounds. We may hear songs not yet sung. We may discover pain in others we were not aware of. We may even save lives. First, say thank you. We can’t say thank you enough to people. When we are in the habit of saying thank you, we cultivate an ongoing feeling of gratitude, the foundation of a happy life. In the prayer book, the first thing we say is Modeh ani lefanecha, Melekh chai vekayam, shehechezarta bi nishmati b’chemlah, rabbah emunatecha. “I am grateful before You, everlasting Sovereign, who has mercifully restored in me my soul; your faithfulness is great. When we begin our day with words of gratitude to God, we are more likely to feel gratitude and convey that sense to others. Expressing our gratitude towards other people benefits their self-esteem as well as our own. “I’m sorry for….” I work under the assumption that we are all basically good people. None of us wakes up in the morning and thinks, “Gee, how much can I destroy today?” We go through our day to day lives trying to do the right thing, and we are not perfect. We all make mistakes both by things we do and say and by things we fail to do say. Because each of us is a decent person at heart, it’s hard for us to admit our mistakes. We justify our actions. Our relationships suffer as a result. It takes courage to humble ourselves before another person. One of life’s great ironies is that when we show vulnerability through a genuine apology, we actually gain strength in the eyes of the offended. “I forgive you for….” A favorite teaching I’ve mine that I’ve quoted before is from the renowned Hasidic rabbi and psychiatrist, Abraham Twerski. He writes about patients who are paralyzed by resentment and the liberation that forgiveness brings about. He quotes one of his patients saying: “I came to realize that hanging on to anger was not affecting the people who hurt me. They don’t have headaches, indigestion, or insomnia. I do. Why should I suffer because of their wrong behavior? So I just stopped thinking about them and my anger evaporated. Hanging onto resentment is akin to letting people you don’t like live rent-free inside your head without paying rent. I’m not the kind of person to let people do that, so I evicted them from my head.” Forgiveness is as much for our own benefit as the person being forgiven, and it brings tremendous healing. “I love you for….” In Disney’s animated hit “Frozen,” the Trolls sing in their song “Fixer Upper” “People make bad choices when they’re mad or scared or stressed. But throw a little love their way, and you’ll bring out their best.” Reminding our loved ones that we love them and why–and doing so repeatedly–reflects our ultimate commitment to the wellbeing of relationships. Love brings out our best. With these four simple statements, imagine the healing we can generate. Imagine the renewed joy and laughter when there had once been tears and hurt. Imagine the self-esteem we build up in ourselves and others. Imagine the songs we will hear that we never knew existed. Imagine the lives we might save. We cannot bring back to life loved ones who died whether by suicide or by other causes. But we can resolve–we must resolve–that they did not die in vain. Yom Kippur gives us space to mourn, but it also calls upon us to grow, change, and redefine ourselves. It is a day to cleanse ourselves of that which is broken and to create and reinforce everlasting bonds of trust, hope and love. Let us listen to and savor one another’s songs before the music stops. So may it be God’s will.